Valentine's Day gets everyone in the mood for something sweet. If you want to express your love by baking sugar cookies for your sweetheart(s), then I highly suggest doing so in the shapes of hearts. Heart cookie cutters are everywhere baking supplies are sold, and with the multitude of online sources, you can create a variety of shapes and sizes to suit your whimsy. I have a few heart cookie cutters in my collection, so for these, I turned to some of my favorite. The Best Valentine's Day Cookies! I love these heart cookie cutters by de Buyer. are deep, sharp and seamless. To my mind, they have the perfect heart shape. Let's get to the cookies because I know you're going to want to make some this week for Valentine's Day. You can make a few of them for your household or you can make batches of them to take to work, to your kid's school or for a bake sale. Roll up your sleeves, get a sturdy rolling pin and dig out those heart cookie cutters from your pantry. 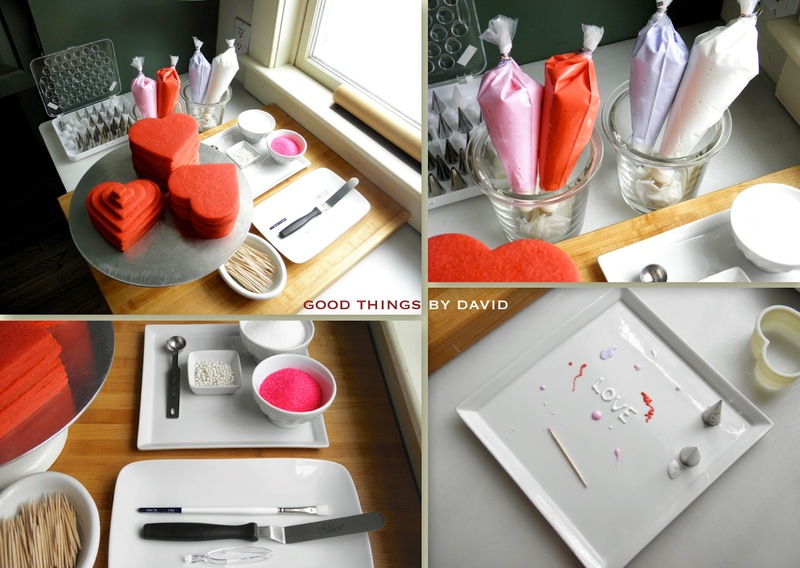 You're going to have fun making Valentine Heart Cookies! In order to get an even color when tinting sugar cookie dough, it's very important to add the food coloring while you're creaming the butter and sugar. This enables the food coloring to get distributed evenly when adding the dry ingredients. If you wait until the dough has formed to tint it, you run the risk of leaving color streaks. Not pretty. 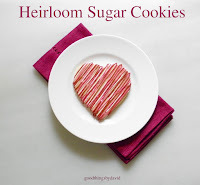 For my Heirloom Sugar Cookie Recipe (and I highly suggest you use it for these cookies! 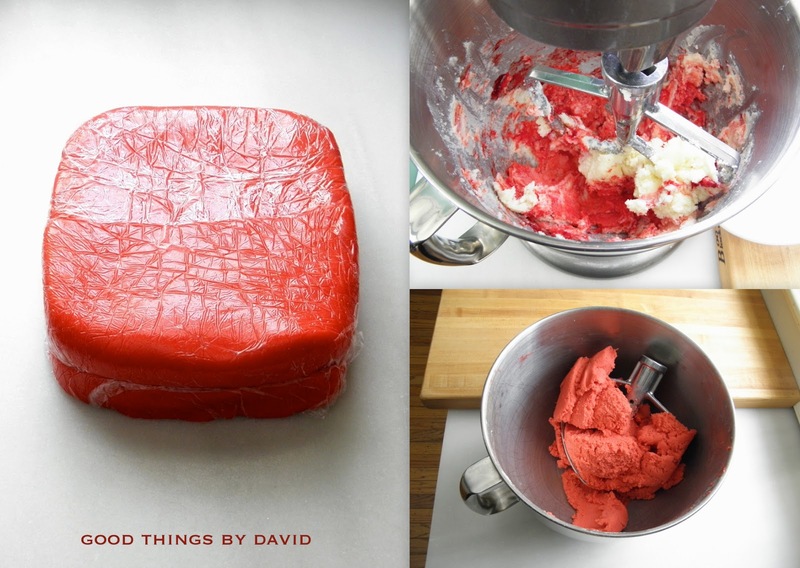 ), add 1 teaspoon of red gel paste food coloring for the entire batch. I'll let you in on a little secret: swap out the vanilla extract and use strawberry extract to enhance these Valentine's Day treats. Tasty! Rolled and cut, the cookie dough looks good as is. Can you see the even coloring? Once baked and cooled, it's time to start mixing the Perfect Royal Icing and tinting it various shades of reds, lavenders or whatever strikes your fancy. Oh, and if you wish, add strawberry extract to the royal icing. Are you tempted? It's important to have your mise en place when baking and decorating. I allot a station in the kitchen for this task, next to a sunny window. Stacks of cookies (top left), bags of tinted royal icing (top right) and candies/sugars (bottom left) are at the ready. It's also wise to have a plate set aside to test out your piping skills and to remove any clogged pastry tips. This makes everything tidy. For the various hearts, I used two designs with one simple technique. Using a smaller heart cookie cutter as your guide, trace a perfect heart with a food-safe marker (these are available at baking supply stores and craft stores-think Michael's!). Make sure this is centered (top photo). Using the color of your choice, with royal icing, trace the outline of that marked heart. Now you have two choices: either fill & flood the inner heart (middle heart) or trace the entire perimeter of the heart and flood the outline (bottom heart) with the tasty royal icing. The former leaves the perimeter of the red cookie exposed, and the latter leaves an inner heart exposed. Dots in a single color or in alternating colors can be dropped around the heart or along the edge of the hearts, but you can also create an special design by making your own creation. Write a love message for your cutie pie or make a lacy pattern for that special individual. Whatever you create, make it extra special because the recipient is going to notice the effort. These are made with a lot of love after all. Don't these look adorable without being entirely covered in icing? Promise me you will make some for Valentine's Day. A Valentine's Day Heart Cookie from me to you. 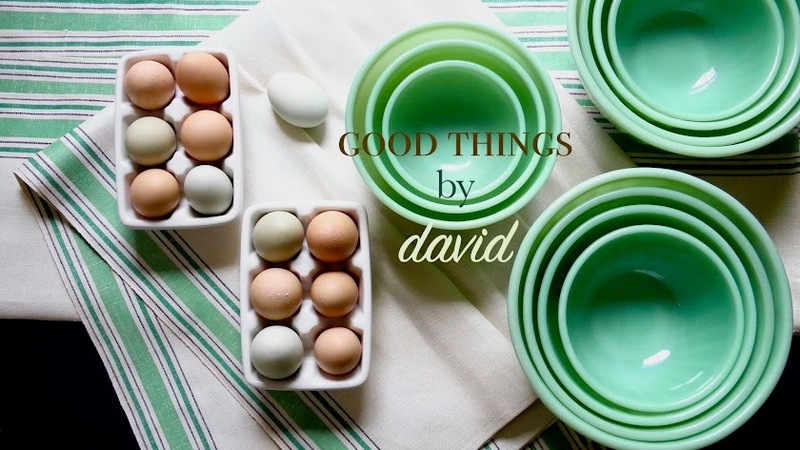 Just beautiful, David! You really must create a post showing some of the more decorative techniques. 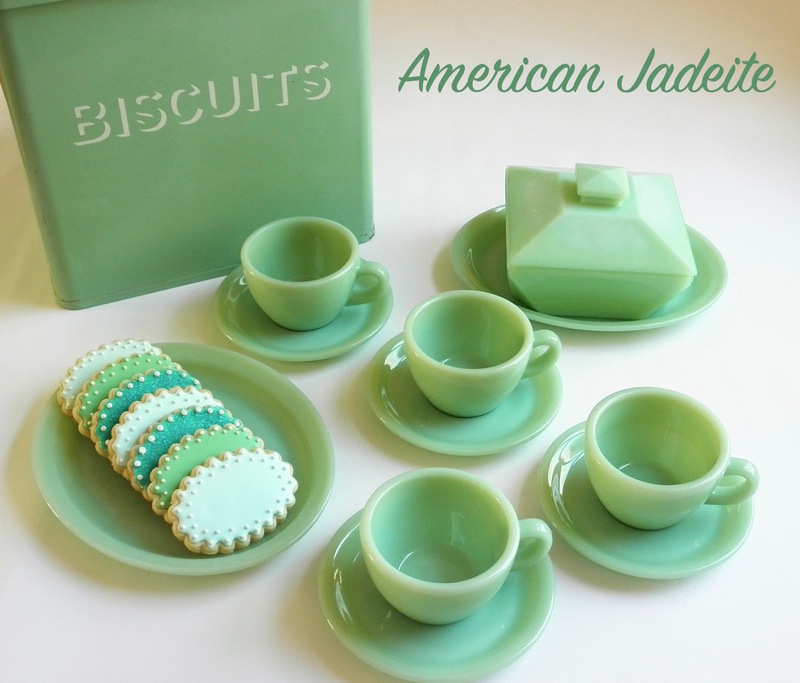 I love the idea of adding the coloring to the butter/sugar mix.. the color is flawless! You know, I should do a post on decorating techniques with step-by-step instructions. 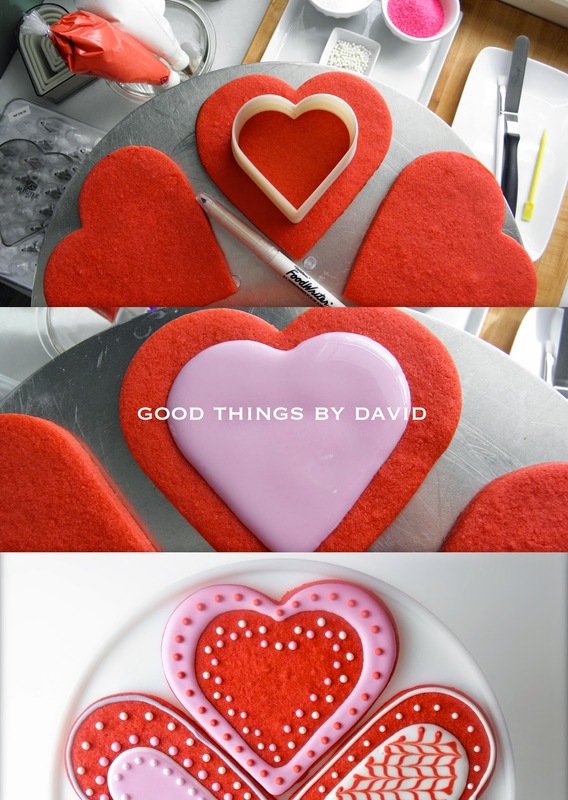 I've promised someone a few heart cookies in the near future, so that will be the time for my how-to!